What are the Phases of Construction Documentation? Construction documentation is the phase which implements the designs and schematics which have been finalized for construction. The schematic design phase introduces the concept and idea for the project to be made and the design development phase adds further design the other practical components needed to complete the construction design process. 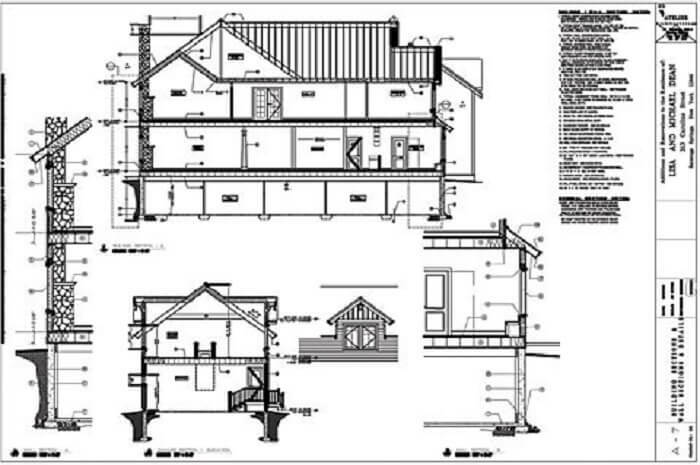 The architectural drawings are used to create in detail drawings of the project that helps the contractors and engineers to work on it in real life. In a project after the designs have been finalized, the focus shifts from design to building and bringing the approved design to life. These drawings are what will govern the build process and should be coherent and easily understandable by the contractors. All the details regarding the project has to be here to allow for a complete understanding of the project and in case of any discrepancy or failure of components where in sections had to be redrawn and redesigned, the final construction document helps to significantly reduce the time take for everything related to the project has been compiled at one place and in terms understandable by the contractors and the architects alike. The final phase of the architects’ design phases is the construction documentation phase where he prepares the approved design along with the necessary bidding information. It is during this phase that all the different disciplines within the design team are carefully integrated into one single plan and CAD/BIM is used to ensure that the coordination is being carried out at all levels of the plan. Construction checklist – What is it? The construction documentation process involves a number of steps. Figuring out the scale of your project is important as it is required to present an accurate description of the intended project. The first step is to create floor plans. Floor plans include the location and size of the walls, windows and doors and communicate to the builder as to what all has to be built. Other steps are foundation plans which show what is it that is supporting the whole structure, site plan which shows the relationship between the project and its surroundings and the property the project is being built upon. 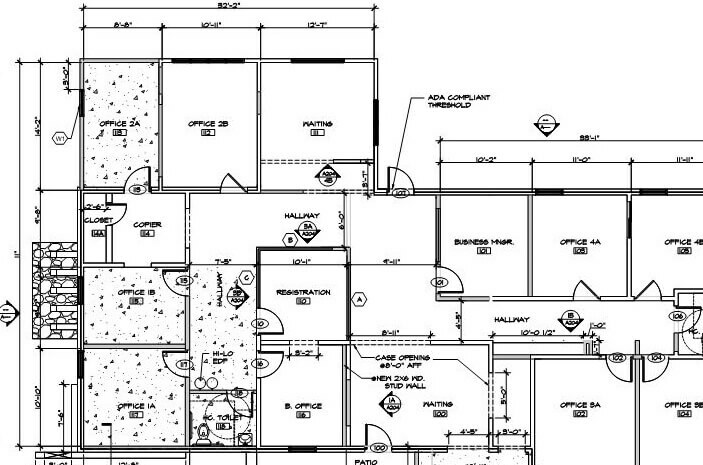 The site plan includes any additional structures that you may want to add or build around the original project. The framing plan regarding the stud sizes, joist sizes, girder information and beam information is all carried out. Everything that would be behind the dry wall is figured out and planned. All the sections and components, the elevation, their interaction with each other and schedules are clearly defined and there for the contractors to move forward with the construction. It leads to the creation of working drawings (blueprints) which specify all the materials to be used and how and where will they be installed. The final finishing materials, lighting and electric plans are also finalized. 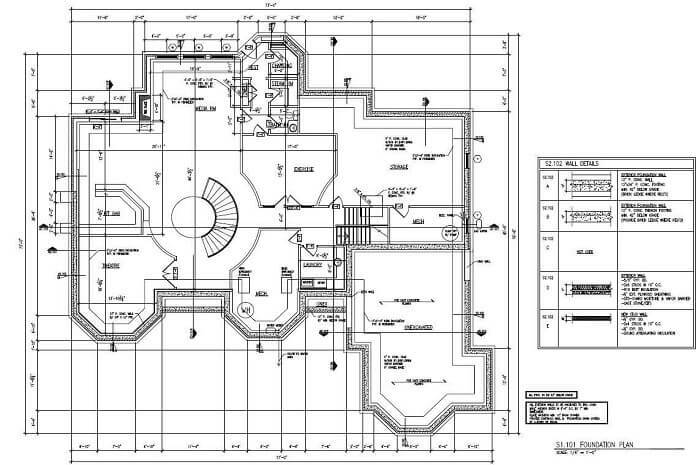 These working drawings (blueprints) determine the accuracy of the installed mechanisms and the presence and effectiveness of other installed facilities like the fire extinguisher, smoke detection, and air cooling and heating services. These drawings are used as the guidelines for ensuring correct installation of utility plans and furnishing of the project. The construction document bid set includes all plans necessary to complete the construction and instructs the contractors regarding what all they have to build and is easy to understand for the contractors. This bid set is then used to bid for bidding and contractor selection process. All of this is managed by the construction administration that keeps track of all the aspects of the project like preparing reports, coordinating schedules, processing invoices and regularly meeting with the clients and contractors and monitors the contracts. The contract administrator works as a managerial presence that overlooks the construction process on behalf of the client and is responsible for reporting to the client regarding the completion rate and conveying the suggestions and directions from the client to the contractors and ensuring that such directions are followed through with. All these processes and functions culminate together to complete a construction project that represents the idea of the owner and mixes the creativity of the architect along with the hard work of the contractors involved in the project. The experts at BluEntCAD can help you with this.